After a year of fire, flood, drought, wind, bugs and hail, we continue farming to serve the people! We hope to renew the ½ price programs at both farmers markets, and we have some surprises for the coming year! To make this happen, we need your financial support today! In our latest newsletter you'll find a summary of news from 2018, special plans for 2019 and reflections on what we've learned over 11 years, both serious and wacky. 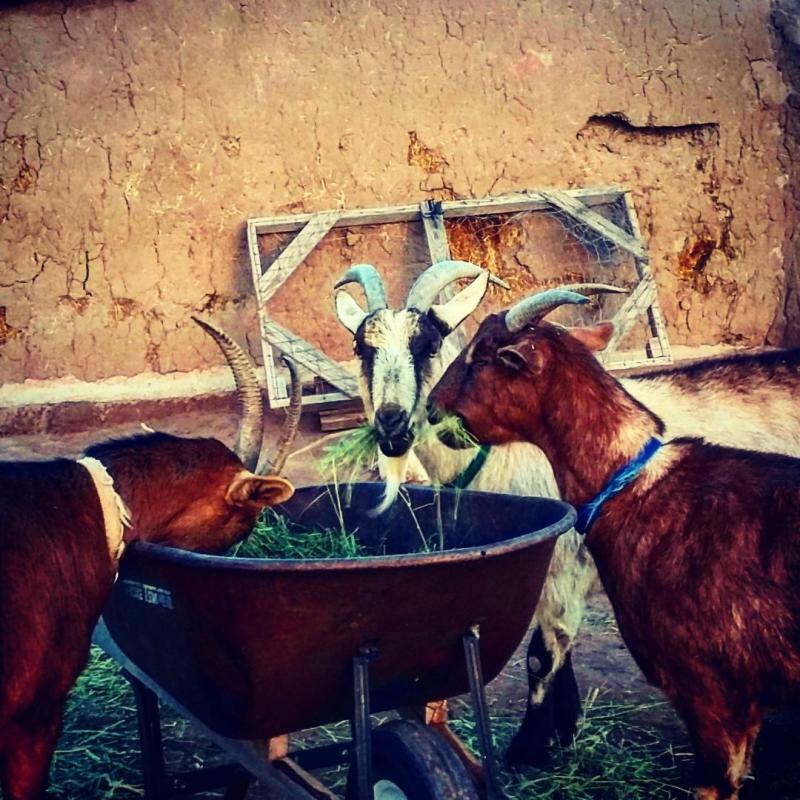 Provide high quality, low-cost organic food accessible for all people of Huerfano County. Welcome a new member to the live-in community of Shii Koeii (guess who!). Mentor at least two to four interns in farming, markets, and, natural building. Our operational costs for 2019, we estimate at $18,500. As usual, the majority of our income will result from farmers' market sales, but we also need your support. Please, will you help us continue our work in service to the community? By February 13th , we need to raise $6,000 for Shii Koeii and $2,500 for the Low-Income ½ Price Produce Programs at the Gardner and La Veta Farmers Markets. The Duane Martin ½ Price Protein Program at the Gardner Farmers Market made it possible not only for local folks to buy quality local meat, eggs and cheese at an affordable price, but also helped support local growers and ranchers to stay in business. Thanks to your generous support last year, this program is fully funded for 2019! Both ½ Price Vegetable/Fruit Programs at the La Veta and Gardner Farmers Markets were very well used in 2018, and people were so appreciative. This means they are now totally depleted of funds (in fact, they had to borrow funds from Shii Koeii to finish the 2018 season). We need to raise $2500 to fully fund these programs for the coming season. To donate by mail, please make out check to “Shii Koeii Community" and mail to 2224 County Road 541, Gardner, CO 81040. To donate electronically from your checking account, you need a Paypal account. In Paypal, select “Send & Request”, enter “[email protected]”, select “Sending to a Friend”, enter amount and proceed with donation. If you go via this route, Paypal will not charge us a 4% credit card fee. To donate by credit card, click on the Donate button above. No Paypal account required. Happy New Year, and may 2019 bring us all good health, a kinder, more just world, and true peace.